Red Road Herbs - Your Path to Health & Harmony | Join us on the journey – growing, harvesting, preserving and enjoying herbs. Shepherd’s Purse looks like Dandelion when it’s still in the rosette stage, but pulling a leaf will tell you the difference; only Dandelion leaves will ooze white liquid from the leaf. 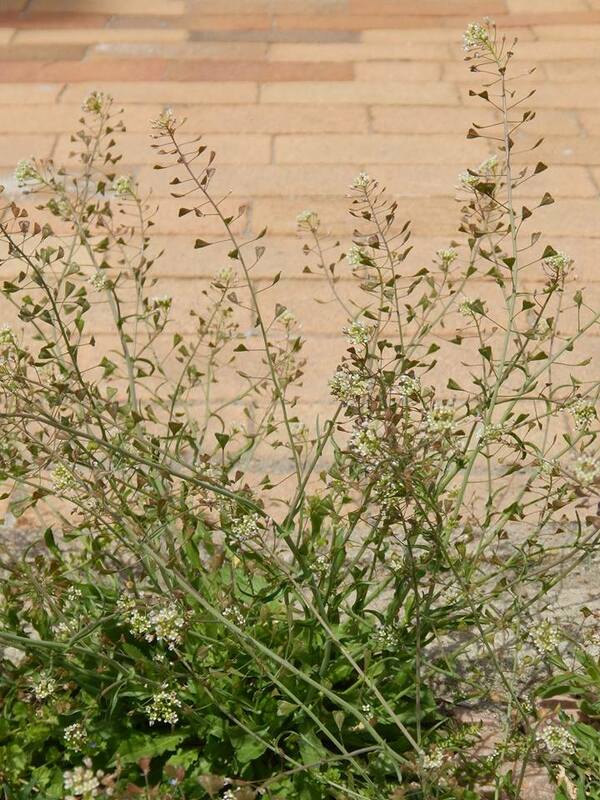 The leaves, flowers and seed of Shepherd’s Purse are edible, but the leaves are tastier before the plant flowers. 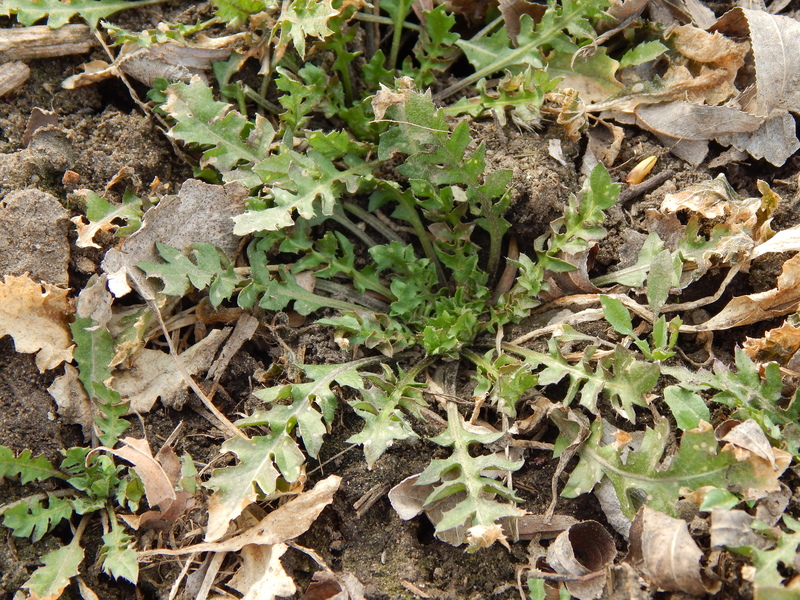 It is from the same family as Cabbage and is similar in taste to Mustard greens. shepherd’s heart, shepherd’s bog, shepherd’s bag, shepherd’s scrip, shepherd’s sprout, coco wort or cocowort, mother’s heart, case weed, case wort or casewort, pickpocket or pick pocket, toywort or toy wort, blindweed or blind weed, pepper and salt, rattle pouches, rattleweed or rattleweed, Chinese Cress, Nazuna, pick purse, permacety, toywort or toy wort, St. James’ weed or St. James wort, St. Anthony’s fire, pepper grass or peppergrass, witch’s pocket, witch’s pouches, lady’s purse, ladies purse, poor man’s parmacettie, bourse de pasteur, hirtentasche, hirtenfaschel, Borsa de Pastor, clappedepouch, and Borsa di pastore. The main medicinal use of this herb is to stop bleeding, both internally and externally. As a tea or tincture, it’s used for post-partum bleeding or excessive menstrual bleeding. Externally, it can be used as first aid for bleeding by simply crushing the plant and using it as a poultice directly on the area. An infusion-soaked cottonball can be used to stop nose bleeds and the same can be used with a cloth to make a compress for bruises. Really I am rich and wise. Leaves a heart-shaped purse instead. Every coin a living seed. Living plants shall spring to birth. From a farthing in the ground. Give me then my Shepherd’s Purse. 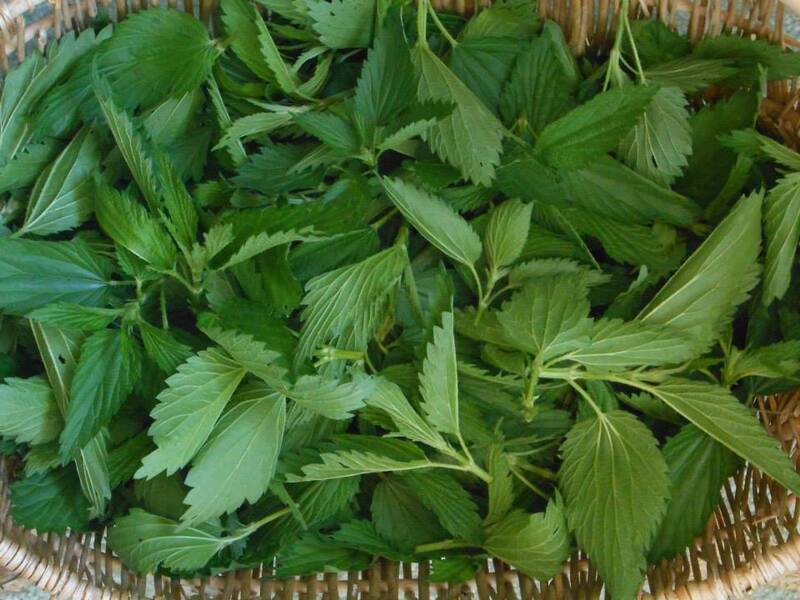 There are several herbs that have a long and diverse list of uses; Nettle is one of them. 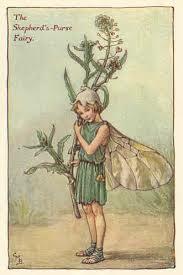 It is an amazing plant who’s virtues have been masked by its awful habit of stinging people. There’s a natural fear of plants that have that kind of reputation, but, rest assured, its benefits far outweigh the sting. 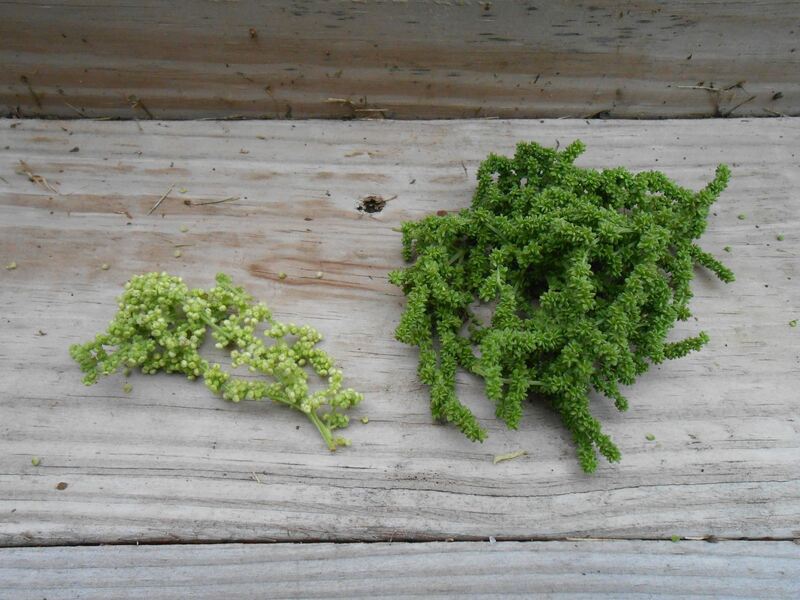 Nettle Seed on the right is ripe; left is still at flowering stage. And that’s just the list for humans. Nettle leaves increase production of eggs when fed to chickens and make an excellent “tea” to give plants extra vitamins and minerals. 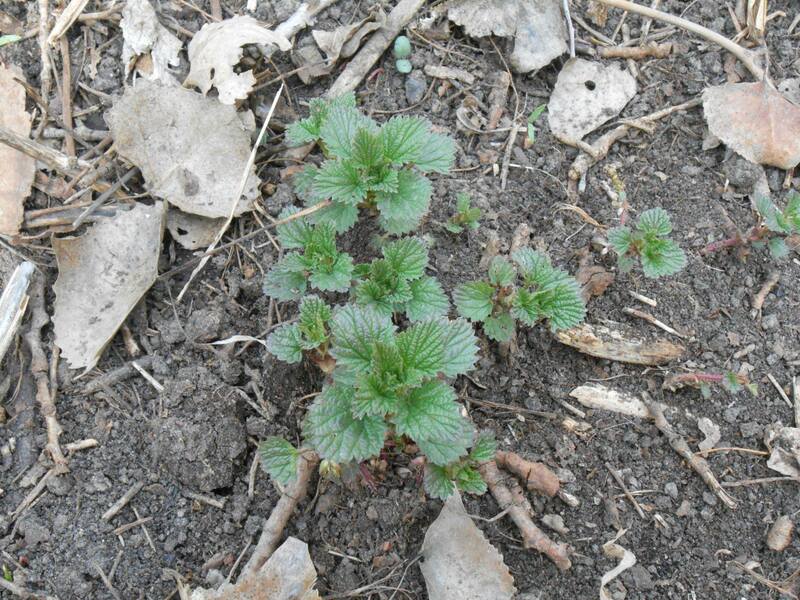 Young Nettle makes a delicious and nutritious spring green, cooked like spinach or added to pasta and egg dishes. For an easy side side dish, try steamed, chopped Nettle with risotto rice or orzo pasta. Potato Nettle Soup is a hearty meal, loaded with nutrition. Potato and Nettle also make a great casserole with butter, cream and cracked black pepper. Puree onion, garlic, and nettles with 1 cup of water or stock. Cut potatoes into small pieces. 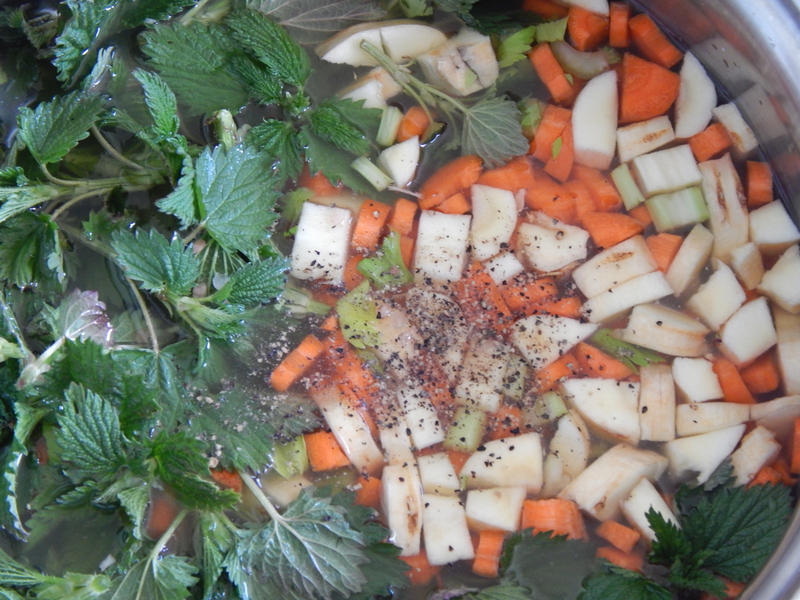 Simmer pureed mixture with potatoes and remaining water or stock for 45 minutes or until tender. Use a potato masher to mash the potatoes making the soup thick and creamy. When harvesting Nettle, remember to look for this plant, Burdock, growing nearby to use as an antidote to the inevitable sting… Nettle in – Dock out. And if you’re so inclined, go ahead and harvest the Burdock root to add to your Vegetable Soup. They are an excellent source of vitamins and minerals, as well as a liver tonic. But, that will have to wait for next week’s post on spring herbs. Spring is a time for renewal and I’ve been thinking it’s a good time to change a few bad habits. However, sometimes the thought of change, especially when there are so many options presented, can be overwhelming. When I find myself feeling like there are lots of changes that need to happen in my life, I have to take baby steps and change just a couple things. If you find that works best for you too, here are some suggestions. Yoga with deep breathing and meditation with affirmations, if they’re not already part of your daily life, are two important first steps in making change. Both yoga and meditation help you get in touch with your body, bring clarity to your mind and comfort your soul. They release stress and relax the nervous system which helps the mind and body function at peak efficiency. Yoga doesn’t have to be complicated. Try doing a simple Sun Salutation sequence to start your day – see diagram. There is also a sequence of Moon Salutation poses for the evening – see diagram. Start with one or the other, whichever you feel drawn to do. Make it a goal to add the other one, or other poses, when you feel you’ve mastered the first and it has become part of your daily life. Having one consistent thing in your day that brings you peace is a good goal to achieve. Deep breathing can be included in your meditation or yoga practice. It can also be done at any time you need to de-escalate emotions like anger and fear or just think clearly. Start by paying attention to your breathing; focus on each breathe as you inhale and exhale. Then breathe deep through your nose to expand your lower chest and abdomen. You can put your hand on your stomach to feel it inflate. Hold your breath for a couple seconds, then exhale through your mouth, releasing all the air to deflate your lungs, pause and repeat. After 3-4 deep breaths you’ll feel relaxed, but revived with energy – like a spring morning. Spring is a time sloughing off the old to make way for the new. We rake the leaves and dead grass to let the new grass have sun and air for growing. Our bodies also need to get rid of all the old cellular and metabolic waste built up during the winter months of slower activity. The liver is key in the function of removing waste and toxins. It does this on its own as the seasons change. Spring tonic herbs help nourish the liver so that it can perform as peak efficiency during a time when it is being overworked. In her infinite wisdom and ways, Nature provides the best liver tonics in the spring, when they are most needed. Their new growth is bursting with vitamins and minerals needed to nourish the liver and improve its function. To remove the toxins many of them are diuretics, meaning they will make you pee more. They are usually either eaten raw as a potherb or make into tea to increase fluid intake. Besides the physical benefits of spring tonic herbs, there are the benefits of feeling sunshine and breezes on your face as your harvest, reenacting the tradition of your ancestors in gathering green plants of spring as food and medicine, connecting with the plants, connecting with Nature/Creator and the good feeling of knowing you’re preventing illness and taking care of your health all by yourself. We’ll start with an easy favorite, Dandelion. Oh, if only everyone knew the benefits of this lowly, little flower. The early settlers knew how good they were and requested they be sent from Europe. They’re an amazing plant and escaped those early gardens to cover the entire nation. The money spent on killing Dandelions (and the advertising) could be better spent on research showing all their benefits. 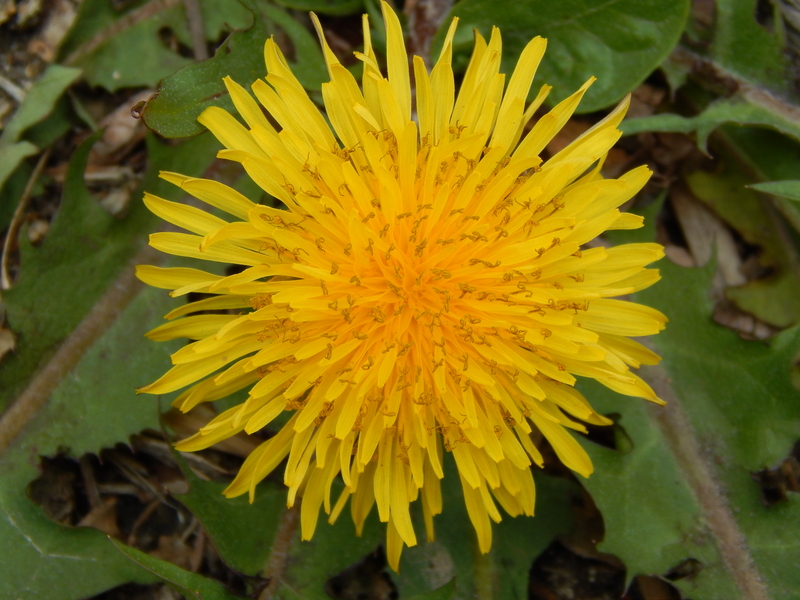 Dandelions are an incredible source of potassium and the calcium needed to absorb it, along with an alphabet soup of vitamins – A, B, C and D. They are an antioxidant (think cancer prevention) and contain essential fatty acids as well as other phytonutrients that reduce inflammation in the body (reduce pain.) They even contain trace elements and provide an immune system boost. If a prescription could do all that, the company would make billions. We have this medicine growing in our yards! Now, what to do with them… The leaves can be eaten as salad greens and add a mild bitterness that is excellent for the entire digestive system. The younger the leaves, the less bitter. The flowers can be fried like fritters by dipping them in batter immediately after they are harvested (or they will close.) The flower petals (twisted off the bitter green bud) can also be used to make yummy cookies (recipe below.) Fresh spring roots are made into liver tonic tea or tincture. 2. Blend oil and honey and beat in the two eggs and vanilla. 3. Stir in flour, oatmeal and dandelion flowers. 4. Drop the batter by teaspoonfuls onto a lightly oiled cookie sheet and bake for 10-15 minutes. 2. Measure the required quantity of intact flowers into a measuring cup. 3. Hold flowers by the tip with the fingers of one hand and pinch the green flower base very hard with the other, releasing the yellow florets from their attachment. Shake the yellow flowers into a bowl. Flowers are now ready to be incorporated into recipes. 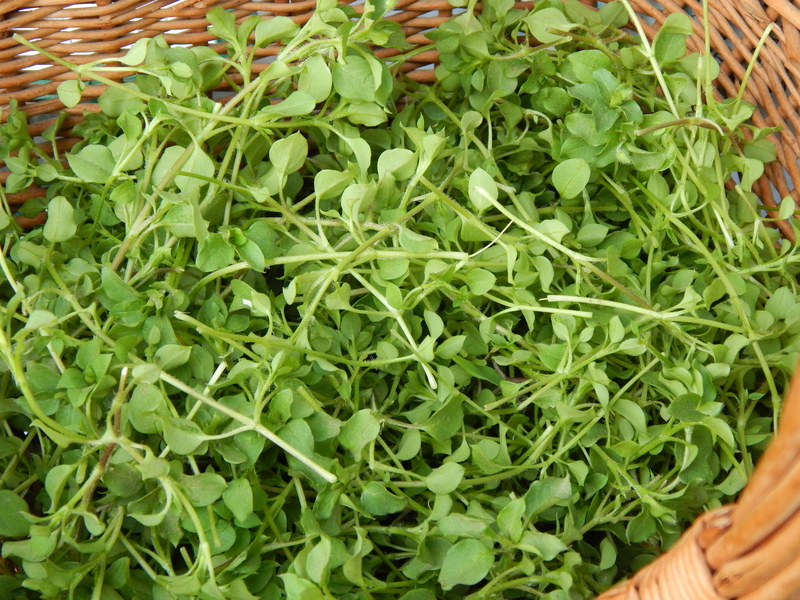 Chickweed is a nutritional herb, containing loads of vitamins, minerals and even protein. It also contains saponins that help break down fat cells. Drinking at least 2 cups a day of Chickweed infusion is recommended for weight loss, but more is OK.
Those same chemicals also can help with infections and dissolving cysts; ovarian and breast. 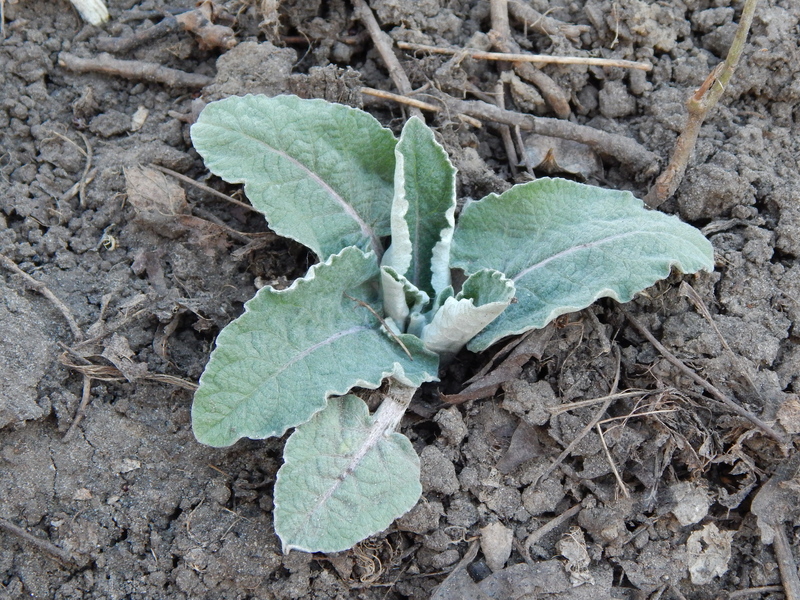 It is used for skin and eye infections as a poultice and as fresh tincture for cysts. A combination of Chickweed, Motherwort and Mugwort is used in Chinese medicine for many female reproductive system problems. 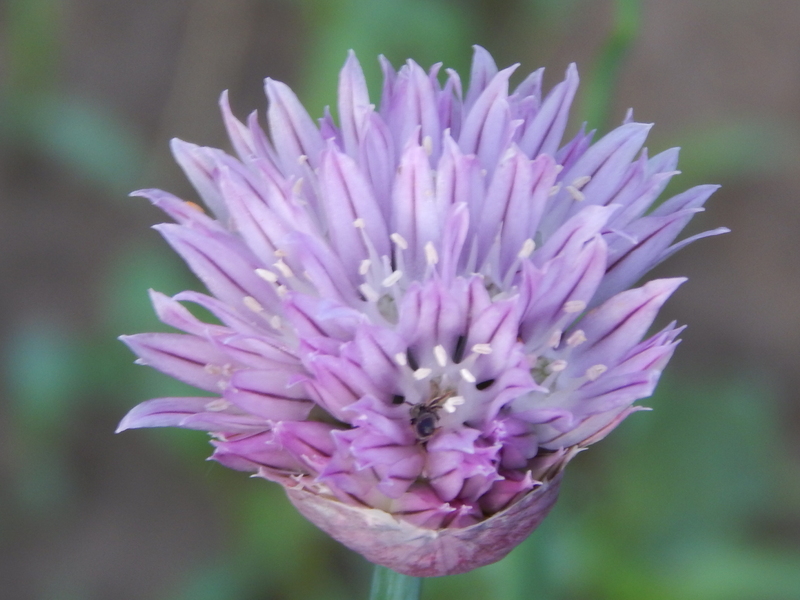 Chive blossoms make a lovely lavender-colored infused oil that can be used in cooking. They can also be added fresh to salads for a decorative touch. 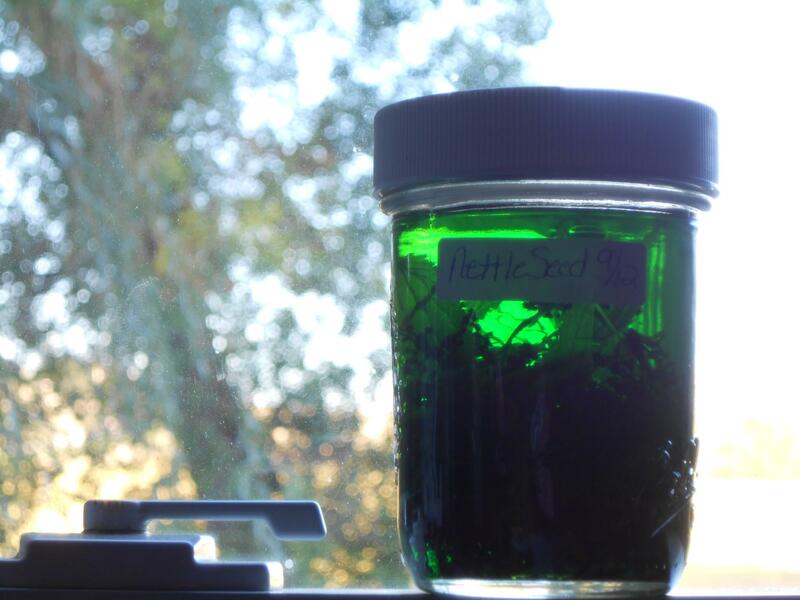 The leaves are best preserved by freezing them. Chives have Vitamin C, which helps prevent colds, sulfurous compounds that are expectorants, potassium that is heart-friendly, calcium to build bones and iron that is good for blood. They are also high in folic acid and Vitamin A. They aid digestion and research is being done on their ability to lower cholesterol. Like many common culinary herbs, Chives are medicinally amazing. 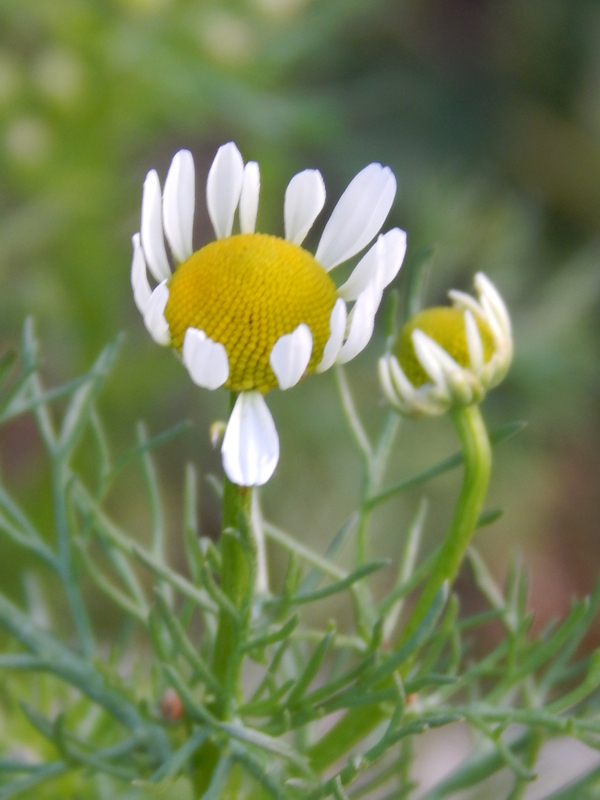 Chamomile is blooming and ready for the first harvest. These dainty flowers are packed full of healing power. They’re considered a “cradle to grave” herb and can be use for everything from cosmetics to calming a baby to congestion relief. They are also considered a “plant physician” and help the health of plants growing near them.